Kimba has graced the decks with her warrior-like presence throughout California from her home in San Francisco to San Diego, Seattle, and everywhere in between. She brings a sound always attuned for the moment featuring melodical elements, funky basslines and a bit of nostalgia ~ a fusion of sweet and heavy sounds programmed to take you on a journey through every mix and themes to touch a cord in every dancer. From deep house to breaks and drum & bass her style is timeless and collection and knowledge moldable to any event or timeslot. Since 2000, Kimba has been involved in the San Francisco Bay Area Electronic Music scene as a Promoter and DJ for clubs, undergrounds, renegades, and festivals spanning over California. First turned on by the sweet jazzy sounds of deep house music, she eventually discovered the broken beat and has been in love ever since. Kimba always finds a way to incorporate the musical and instrumental nature of her first influences into the heavy forces of bass, breakbeats, drum&bass and even techno. She truly loves this music and community and is always stoked to play any gig, from a small party to a super club, a 10,000 person street faire or a radio show. Getting people onto the dancefloor and seeing smiling, dancing people is really what makes her happy to be a DJ. Kimba's favorite DJ set is an opening set, she believes this set is the most important set of any event, it sets up the energy of the event and warms up the people who are there for what's to come. While a peak time set has it's perks, her joy can be found in that creation of nothing to something she finds when you start with an empty club and look up to sea of people enjoying themselves. 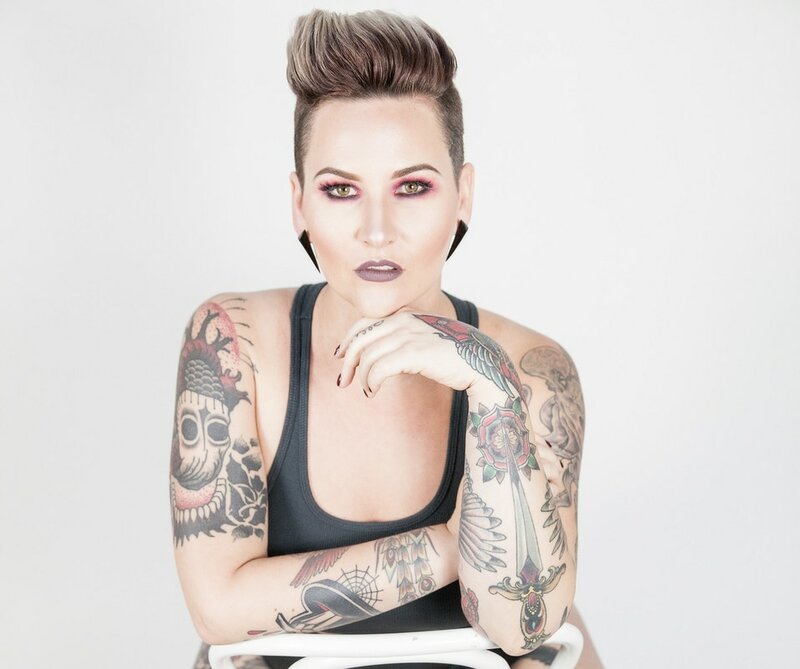 In addition to Kimba's talents as a DJ she is also an award winning Acupuncturist, intuitive healer, cosmetic tattooer, artist, photographer, event planner and model. Her talents run vast and deep and her passion for creation is paramount. You can most likely find her hard at work with her business Lion's Heart in addition to her many other avenues for creating art and experience.